All this snow makes for very pretty landscapes. It also makes it easier to critter-watch. 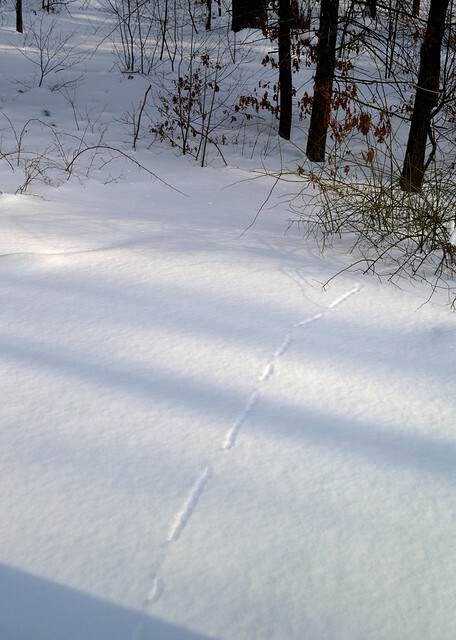 We spotted this half-buried track in the woods near our house. Unfortunately we didn’t see the critter itself. I can only imagine it’s some type of shrew or mouse.